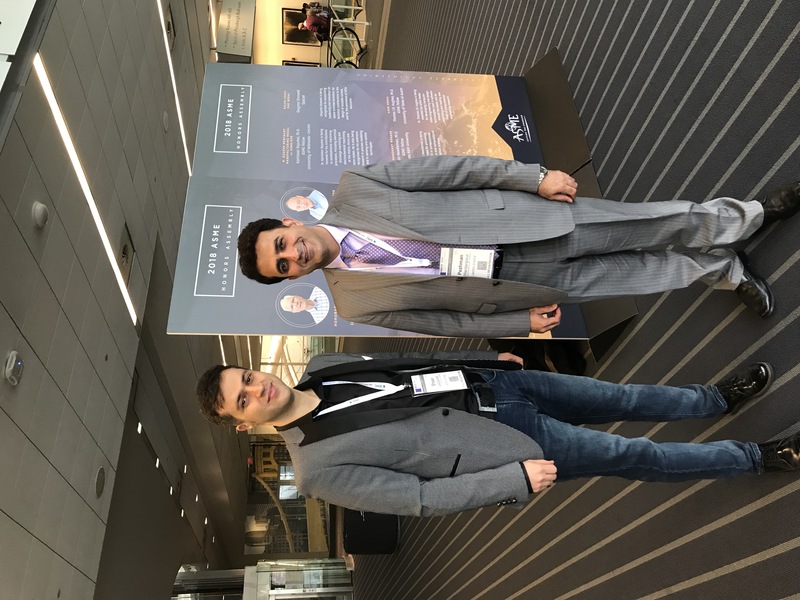 Prof. Pezhman Mardanpour’s research reports new discovery about constructal design of flying wing aircraft at the ASME IMECE conference. This research stems from the collaborative efforts of Prof. Mardanpour, Prof. Adrian Bejan (Duke University) and Prof. Sylvie Lorente (Institut national des sciences appliquées de Toulouse). 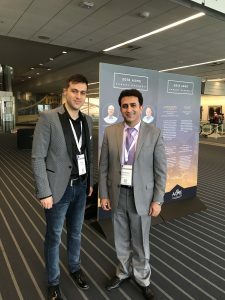 Dr. Siavash Rastkar, postdoctoral fellow, and Mr. Ehsan Izadpanahi, Ph.D. candidate at the Department of Mechanical and Material Engineering are working on this project under the supervision of Prof. Mardanpour. “Body-freedom flutter characteristics of flying wing aircraft vary with engine placement. Here, we show why a certain design parameter (engine placement) influences the aeroelastic flight envelope of the aircraft. The approach is based on the constructal law and the principle that a design that avoids stress strangulations provides better access to the flows that inhabit the system. This is in sharp contrast with trial-and-error techniques such as optimization, which means to opt from among different choices, cases, and designs. Under the same flight condition, the flow of stresses through the aircraft wings is investigated for several configurations including those with maximum and minimum flutter speed. The FSI team has coupled some of the state-of-the-art numerical analysis tools such as: Gmsh, VABS (Variational Asymptotic Beam Sectional Analysis), and NATASHA (Nonlinear Aeroelastic Trim And Stability of HALE Aircraft) to create a computationally efficient pipeline to evaluate different designs. Thus far, this research has resulted in a journal article that was published in AIAA Journal and also two presentations at ASME IMECE 2018 Conference.